Real Estate has been a longtime passion of mine and I attribute my success to my exceptionally loyal clientele base compromised of personal referrals and repeat clients. I am and will always be dedicated to making your next move InStyle. 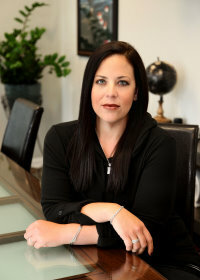 Morgan, a third generation REALTOR® within her family has been a presence in the industry since 2000. She is incredibly meticulous to detail and puts all of her effort into understanding the feelings and needs of her clients in relation to the Real Estate Market. Like the rest of our team, Morgan is consistent with further educating herself on the latest trends and innovative tools and marketing strategies in this ever-changing market. 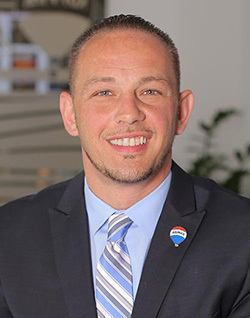 As a long time resident of Hillsborough and a native of Franklin Township, Morgan has a vast amount of experience working with buyers and sellers' throughout Somerset, Hunterdon, Middlesex and Mercer counties! She has and continues to provide her clients with memorable experiences to last a lifetime! She is committed to making all of her clientele move InStyle. 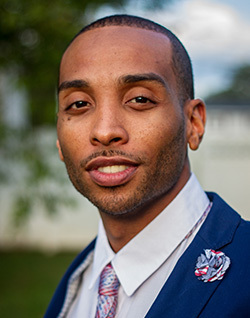 Maurice is a long term resident of Central New Jersey who has a passion for all things fitness, wellness and real estate! He is driven and committed to providing his clients both in fitness/wellness as well as real estate the most exceptional, exemplary service. He works alongside our team representing buyers and sellers alike. His dedication to the industry is unparalleled as he continues to build up his knowledge of staying up-to-date with all of the market’s current trends. He is devoted to providing his clients with a smooth and precise real estate experience. Maurice takes pride in making all of his clients move InStyle! Jennnifer Engelhart has been an instrumental member of my team since 2012 and a licensed Realtor since 2006. Working alongside me as my Transaction Manager and Marketing Specialist, Jennifer assists in the day-to-day activities including, but not limited to facilitating the back end marketing of our listings, working with our preferred vendors/affiliates including our attorneys, inspectors, appraisers, contractors and agents on the opposite end of our transactions. She establishes and maintains close, hands on relationships with our past, current and future clientele base. 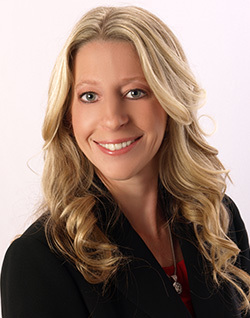 As a licensed Realtor, Jennifer specializes in assisting with First Time Buyer(s) Consultations, facilitating home tours as well as providing a Comparative Market Analysis to potential sellers! Jennifer is a long time Somerset Country resident with an expansive knowledge of its current market trends. She has plenty of experience within Middlesex, Mercer, Hunterdon, Union and Monmouth Counties as well! As a graduate from The College of New Jersey with a major in Journalism and a minor in History, Jennifer is a self-proclaimed Rome aficionado and has a passion for all things travel!